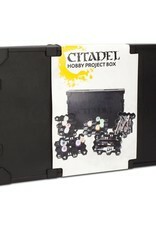 Looking for a way to safely store and transport your Citadel paints, brushes and tools? Look no further – we have just the thing. 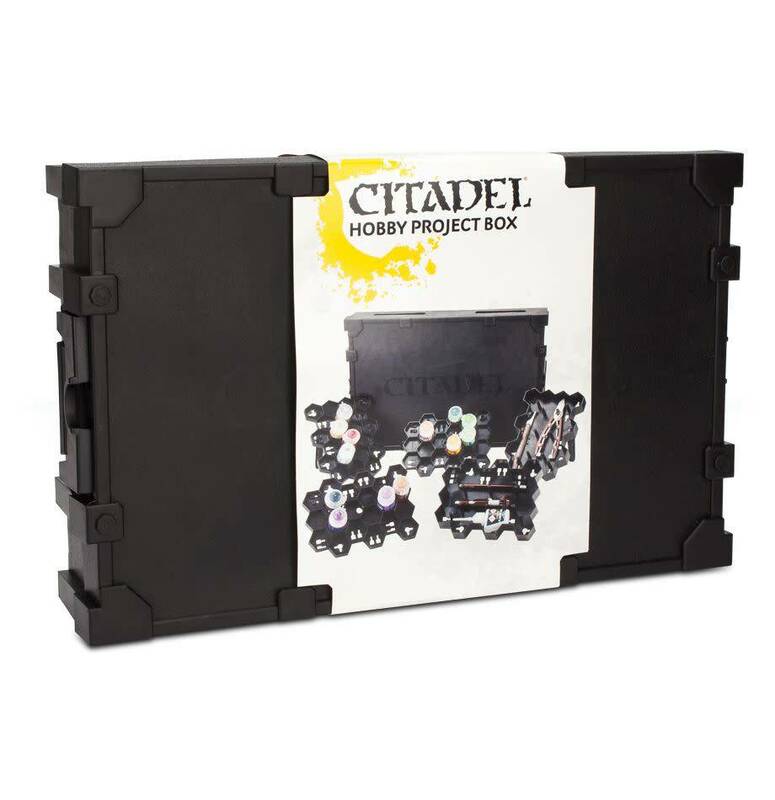 This hard-wearing plastic box features 3 racks that each securely hold 21 pots of Citadel paint, with space for a further 56 in the bottom. There are also two tool racks which hold cutters and glue, space for a rolled-up painting mat and even an area for your brushes. It also fits perfectly into one of our Crusade Cases!